‘Mercer Street Modern’. 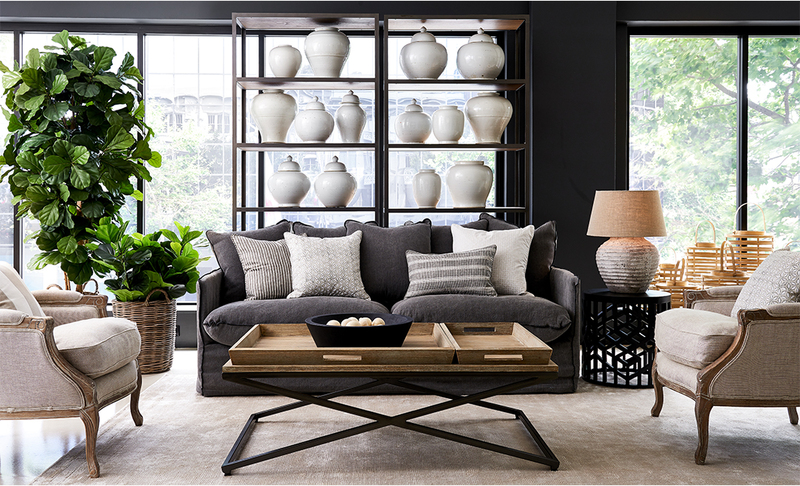 A living room design inspired by a nature & New York. Today’s living rooms can be a bit of challenge to design. Rather than being rooms for conversation, sitting and sipping tea, most homes treat their living rooms as pure media rooms. When we were faced with thinking about a concept for a new living room design our process began a little left of centre. This time, our approach was to start with a collection of furniture and let the design evolve from there. 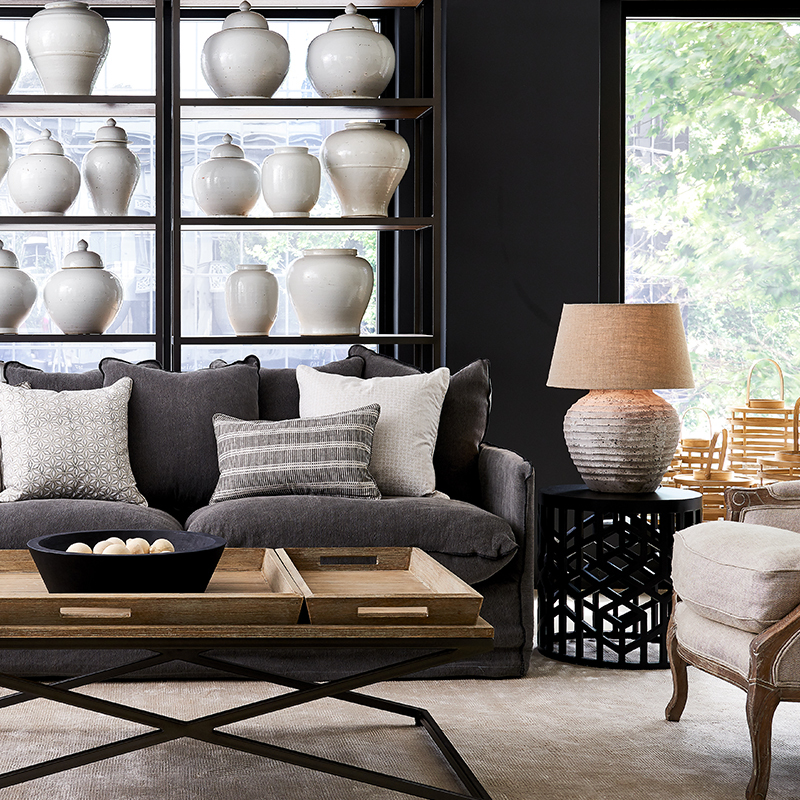 We wanted to let the style tell a story about who this room was for. We began playing with a character and location to create a narrative from which to grow the design. We were in love with the natural clay-like tones of of the pieces we’d chosen and they reminded us of something natural yet so urban at the same time. From these elements, we could think only of New York… of course. Our character was to be a young professional; a maker of some sort. A New Yorker who travels, who has a particular penchant for East Asia and ceramics and likes to bring home fine souvenirs to their lower East Side apartment. Someone who is earthy and grounded yet social and funny. From here, the palette and plan began to emerge. The Results speak for themselves. It’s all about the plan and arrangement in relation to colour and feel. Facing inwards from the windows allowed a more intimate social space. From this standpoint the materials of the furnishings really show their highlights, shadows and textures just like a vernacular ceramic jar. The room is open and airy, so we created a room within that room that is earthy and protected. 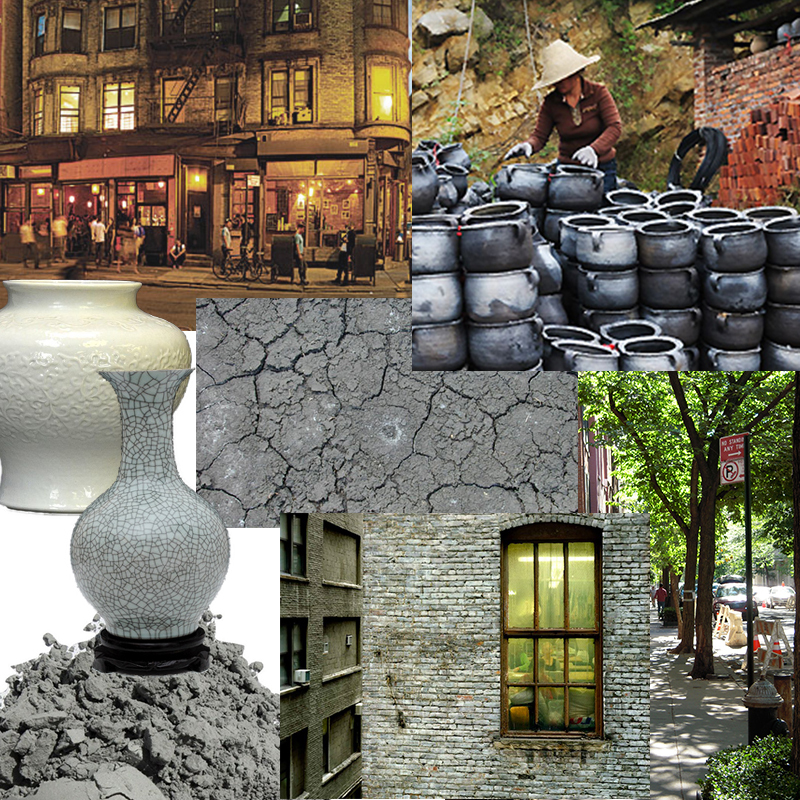 The modern hues of clay dance between soft and hard to create an urban escape for a weary traveler. The ‘screen’ of collected ceramics further adds to that protected feeling and inserts a very personal touch for the owner- a way to really relate to a space. The colours and patterns are masculine; the texture and form is soft, curvy and feminine creating an interesting duality. 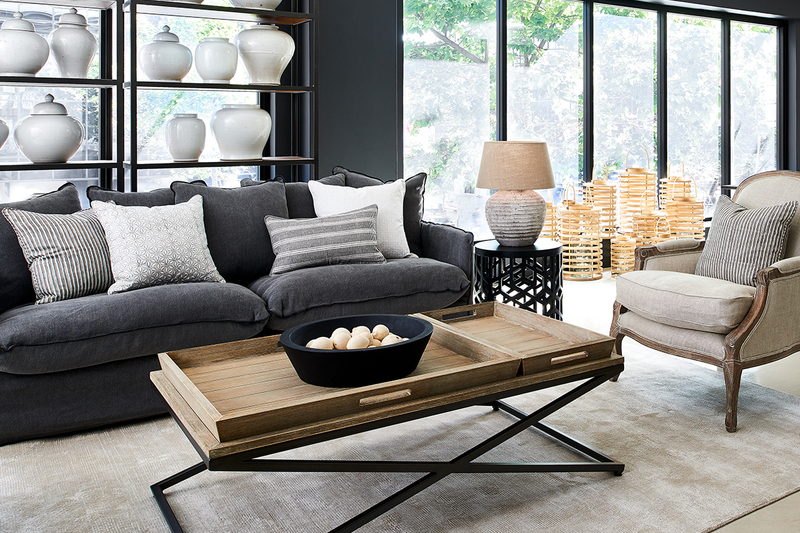 A triumph of neutrals that we simply had to share with you. Let us know what you think. Mercer Street Modern was a collaborative design between our Creative director Jo Lebrocque with our in-house stylists and designers. 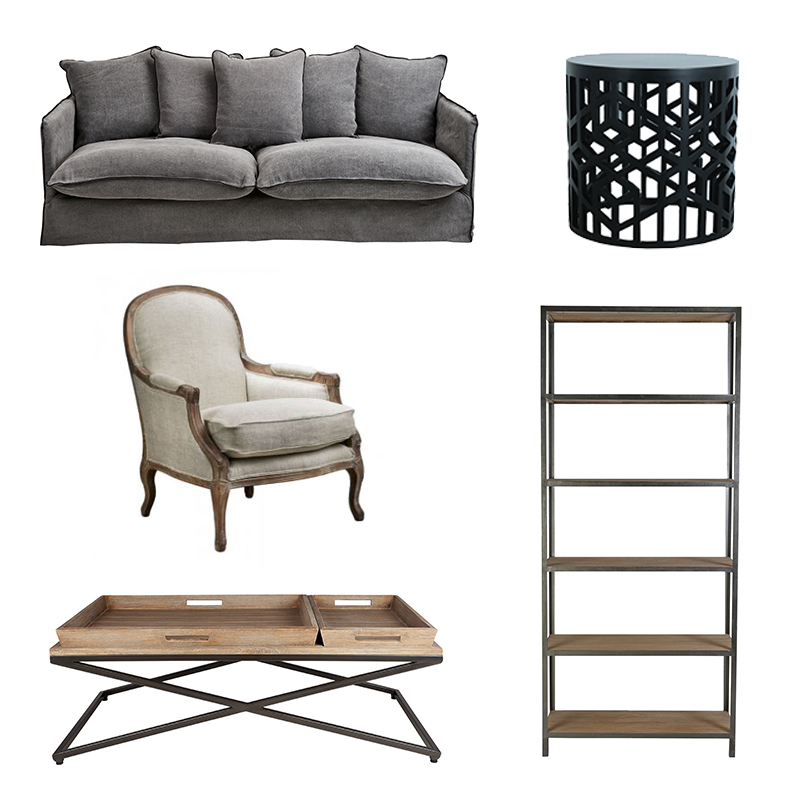 Featured furniture pieces are designed (or replica designs) and manufactured by La Maison as well as bought from various suppliers.